This post is sponsored by PBS Kids Sprout. A few weeks ago Sprout sent us a box of materials so that we could create our own costumes and have fun playing dress up just like they do on the The Chica Show! 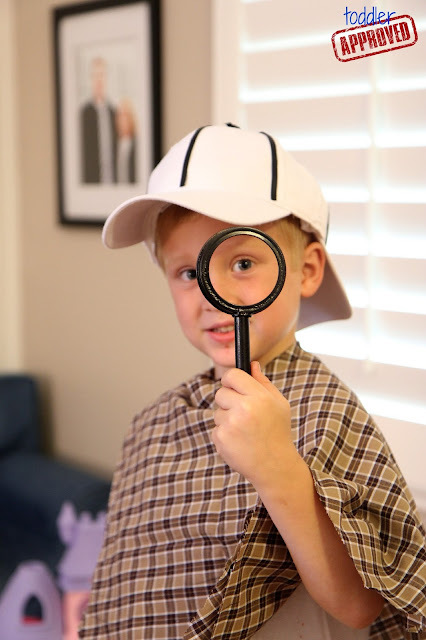 Today I am going to show you how we made our own Detective Dress Up Costume. 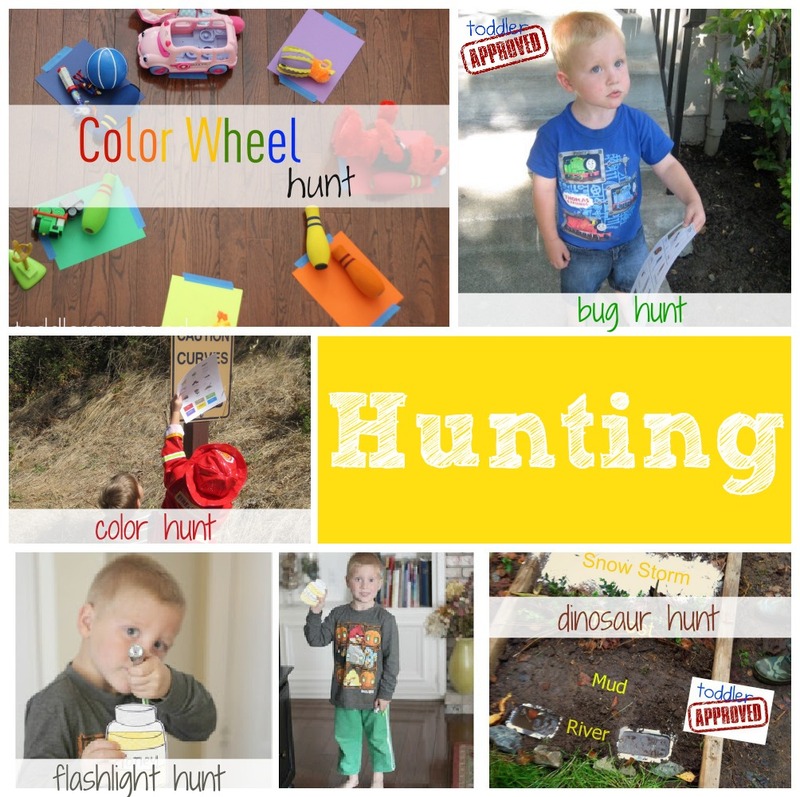 I am also going to share a few of our favorite hunts that are perfect for the little detectives at your house! We started the project by plugging in our hot glue gun to heat it up. Then we fit one baseball cap inside of the other cap and we glued the top of one cap to the inside of the other cap. The hats faced backwards from one another to create a cap with two brims. 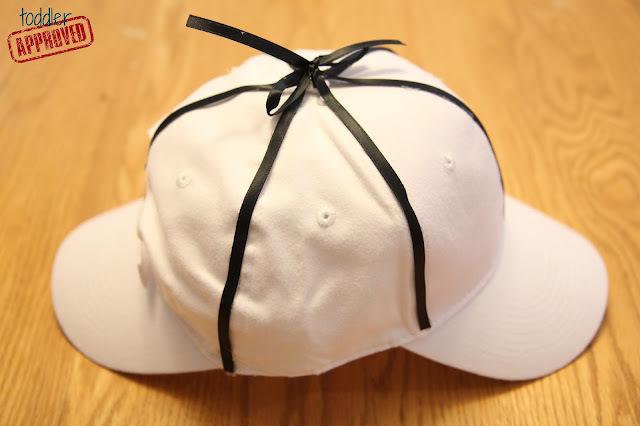 Next we hot glued black ribbon along the edges of the cap so that there were six lines starting from the bottom and meeting at the top center. We trimmed and glued four ribbon pieces to the top and left two ribbon pieces long. We tied the two long ribbon pieces together into a bow on top. We took the handle off the foam paint brush and then glued the handle to the bottom of a canning jar lid. 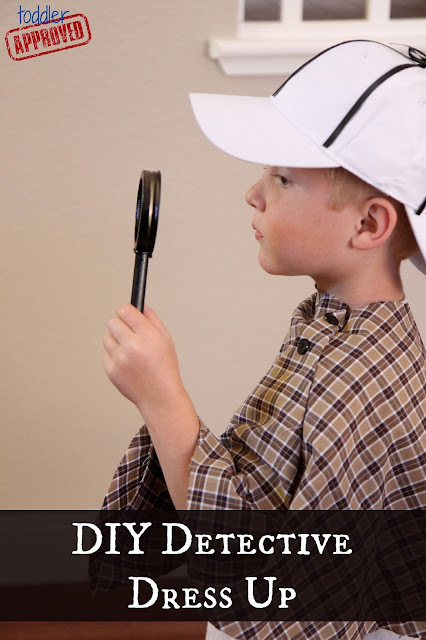 Once the hot glue was cool, we took the magnifying glass outside and put it inside a cardboard box and spray painted it black. This took about 45-60 minutes because each side needed to be sprayed and then have time to dry before we could spray the other side. I folded the material in half (long ways) and cut a half circle along the folded side of the materials. Then I cut a smaller half circle for my child's poncho head hole. Then I opened it up. Once the poncho was cut, I folded the poncho along the front a little bit to create a single pleat. Then we added two buttons with hot glue to dress it up a bit. Once everything was dry we tried it on and went hunting! Detectives love to solve mysteries and find things. 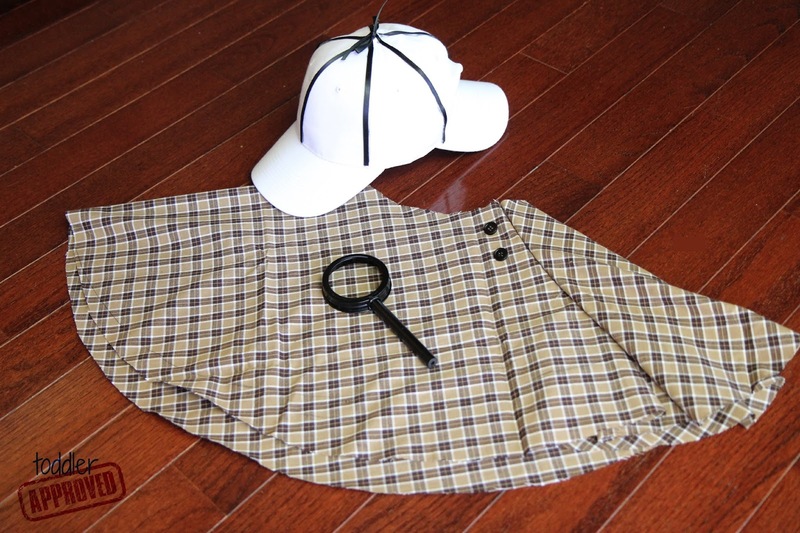 My kids absolutely LOVE hunts so they were really excited to get to wear a detective costume while they went hunting. If you're looking for some fun detective hunting ideas, here are a few of our favorites. Click on the links below for more details. Hands On As We Grow also shares 32 ways kids can go on a scavenger hunt if you need any more hunting ideas. We also made our own detective decoder cookies that would be cool to make with your little detective toos! Don't forget to check out The Chica Show for more ways for you and your little ones to “dress up and play." We also have a fun pretend play ideas pinterest board that you might enjoy too! 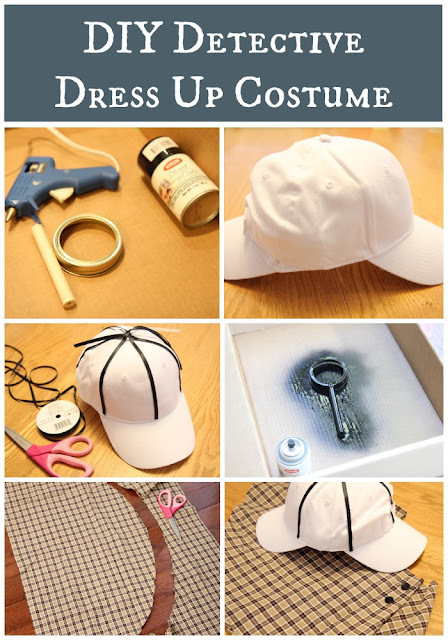 Dress Up is our favorite activity to help us use our imaginations and develop creativity! Make sure to stop back later in the week to see our DIY Dinosaur costume and a round up of other Toddler Approved DIY dress up favorites. Disclosure: This post was sponsored by PBS Kids Sprout.